We drove up to Solvang (Danish for "sunny meadows") one morning during our recent Santa Barbara get away. 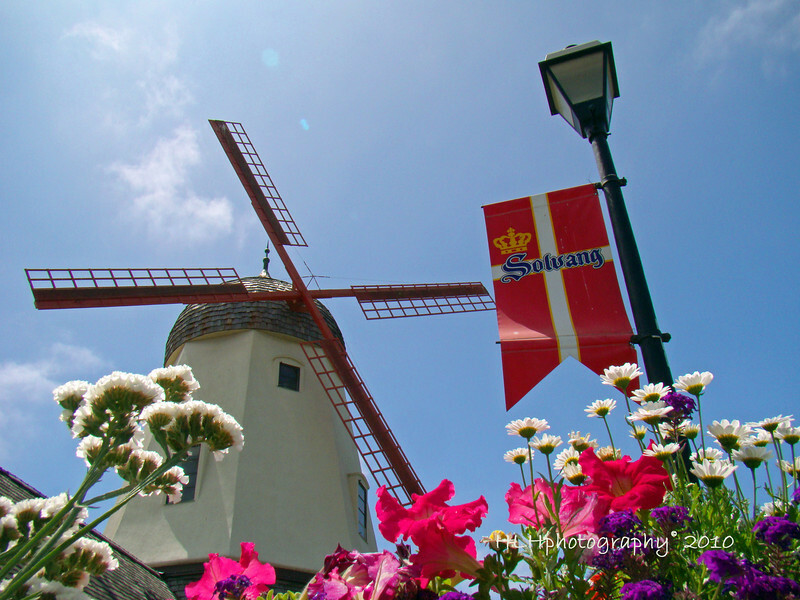 Solvang is about 33 miles up the road from Santa Barbara and is a great place to visit and walk around. It was overcast when we arrived but the sun came out soon thereafter : ). I didn't take a lot of shots but will post several for my POTD and then open up the balance of the gallery for viewing. Nice perspective. I like how you have the flowers in the shot. Stunning shot, love all the color and the perspective. Fantastic perspective! Great colors, and love how everything is against the bright blue sky. Wonderful! Very pretty....lots of visual details!